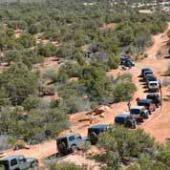 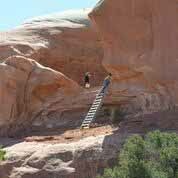 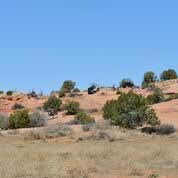 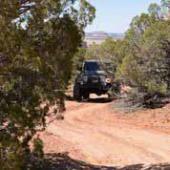 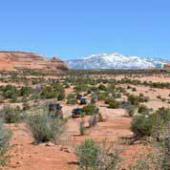 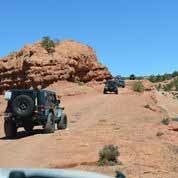 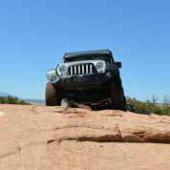 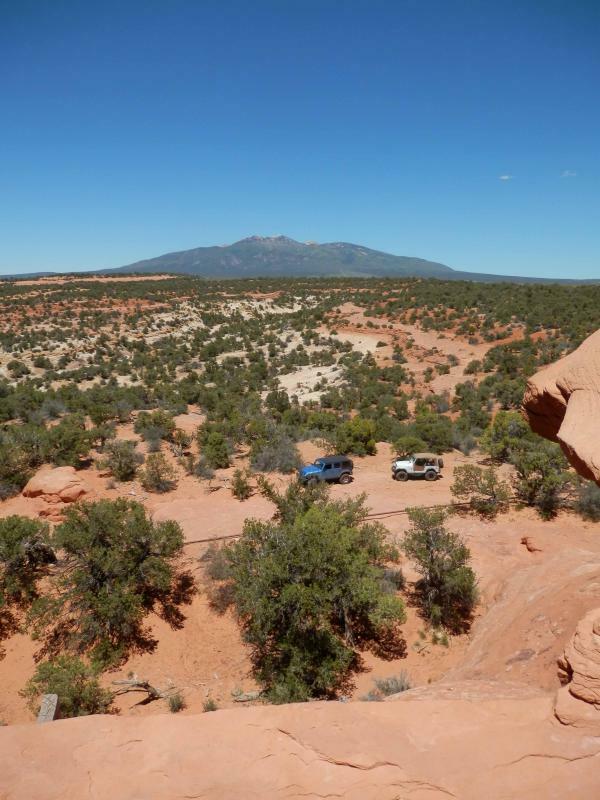 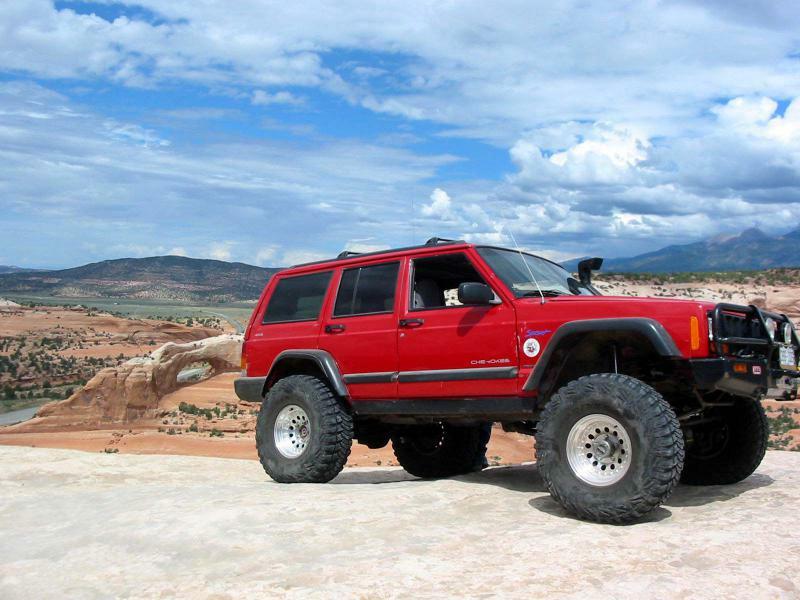 The Cameo Cliffs trail area is some 25 miles south of Moab in an area that has only recently been visited by Jeep Safari. 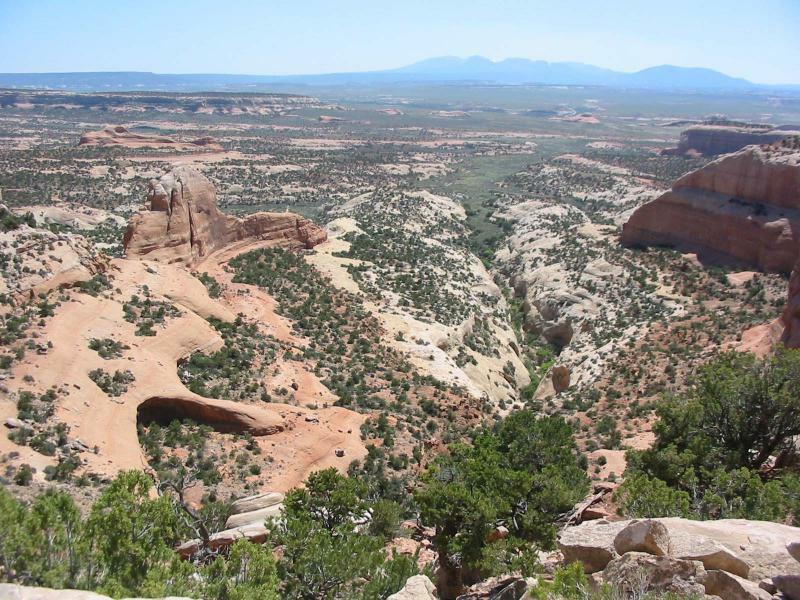 Jack Bickers, a club member in the early years, explored this area extensively in the 1990s, and this trail is comprised of a combination of several of the old mineral exploration routes Jack discovered. 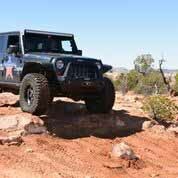 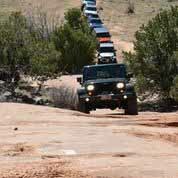 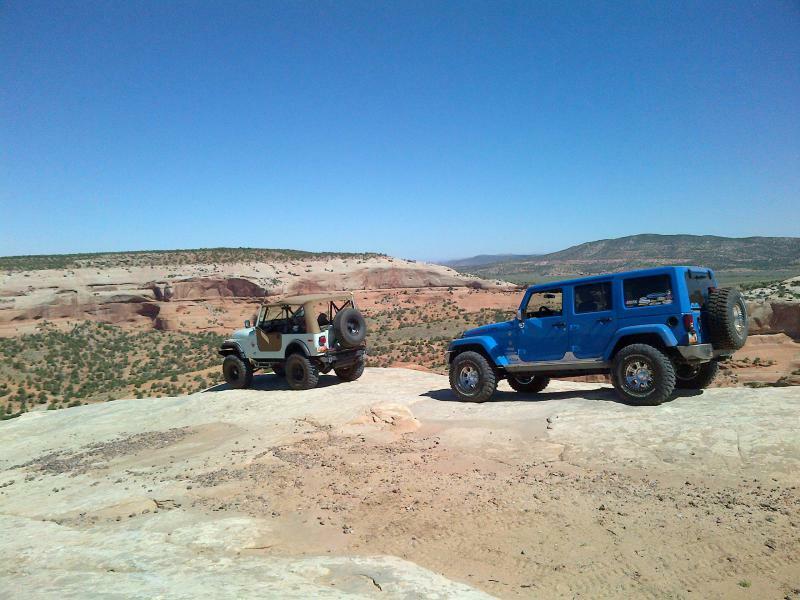 The emphasis for this trip was to provide some mild 4 wheeling while maximizing the stunning views this area offers. 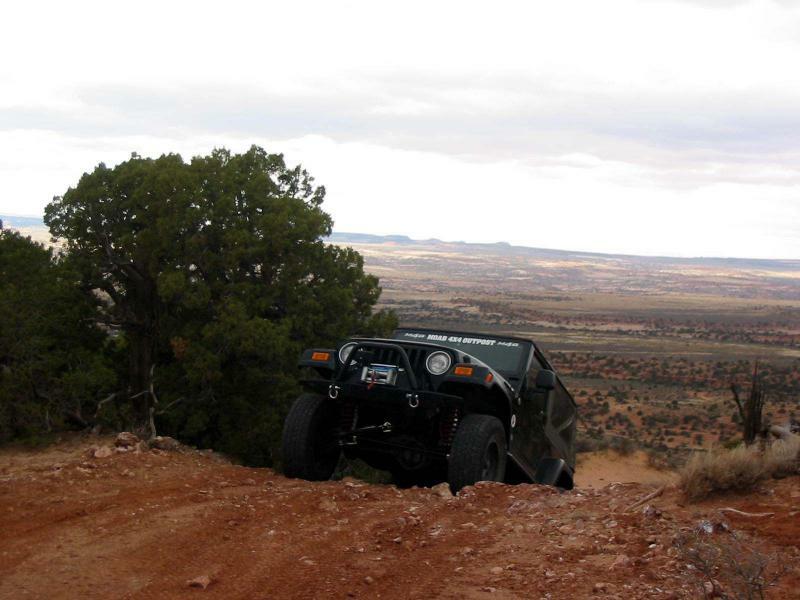 Those looking for milder wheeling should enjoy the abundant scenery of this trip. 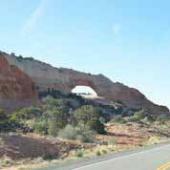 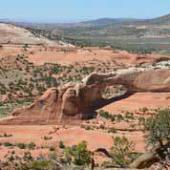 Bordered on the north by Utah 46, the south by Sandstone Draw, and on the west by US191, there is plenty of scenery on this trip. Some notable places are Cameo Mesa, the Dragon Rock, Yak Rock, the Four Fins Overlook, and the Wilson Arch Overlook. 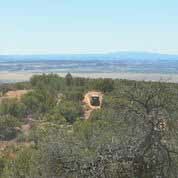 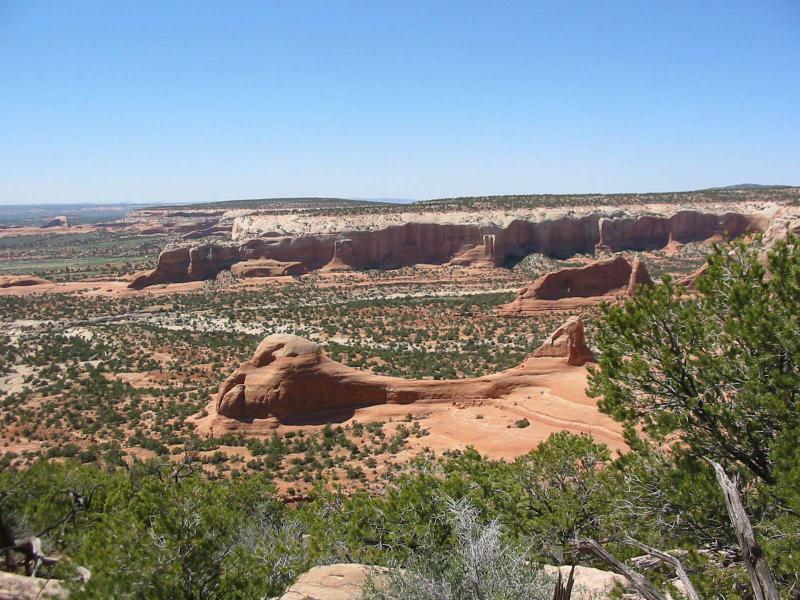 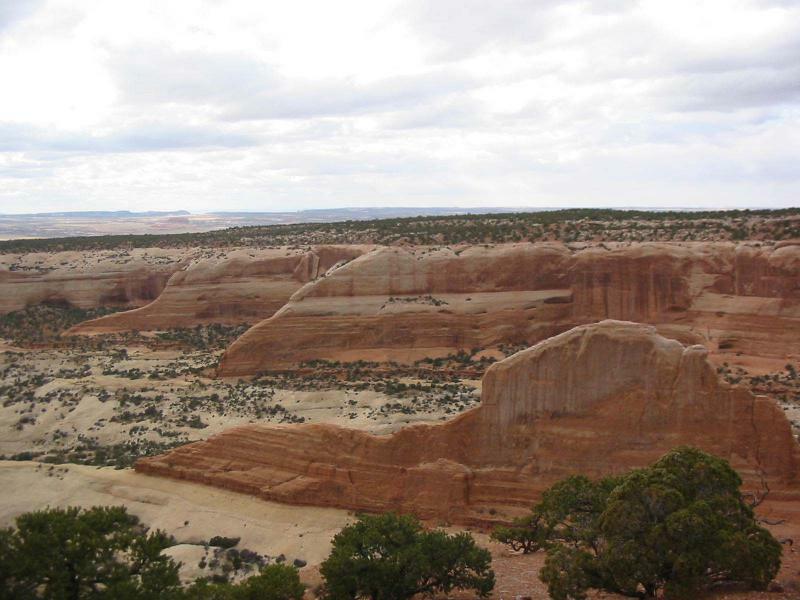 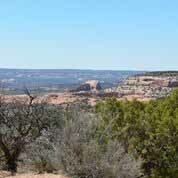 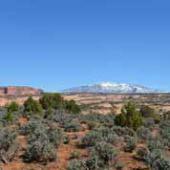 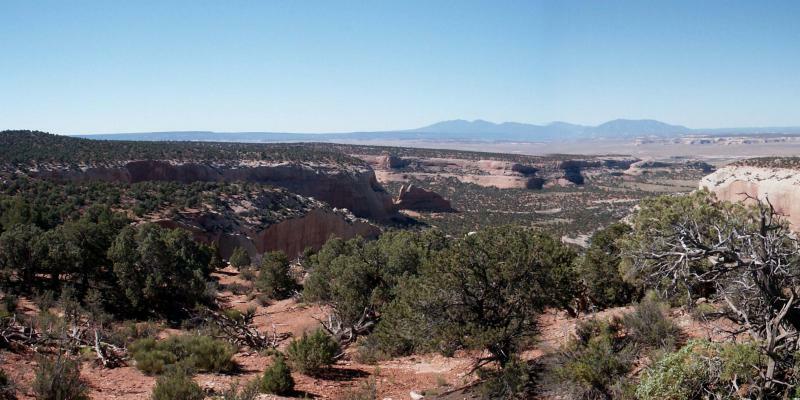 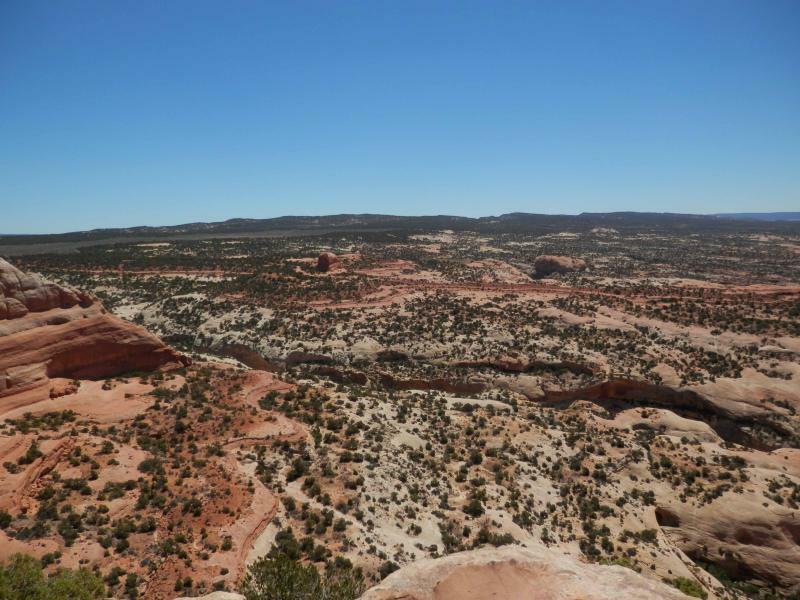 The La Sal Mountains and the Abajo Mountains provide distant backdrops to the desert scenery. 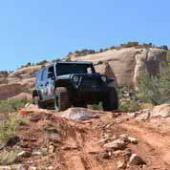 There are two track dirt sections, some sand, a few small ledges, and some bumpy rocky sections. 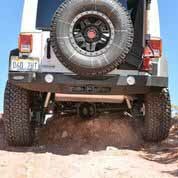 A couple of shelves may require a second attempt by some. The twisty section through Pinion and Juniper trees requires precise maneuvering to avoid the branches, and a short section along a canyon edge may bother those who dislike heights.